World-renowned Swiss astronomers Didier Queloz and Michel Mayor of the Geneva Observatory are seen here in front of ESO’s 3.6-metre telescope at La Silla Observatory in Chile. The telescope hosts HARPS, the world’s leading exoplanet hunter. 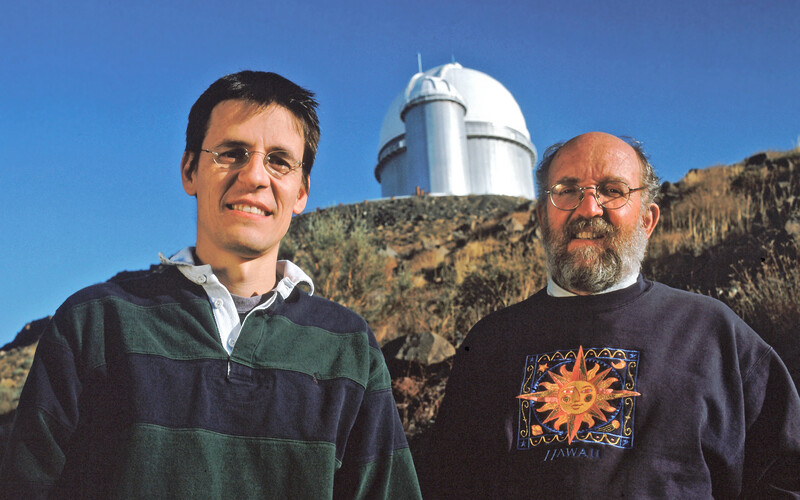 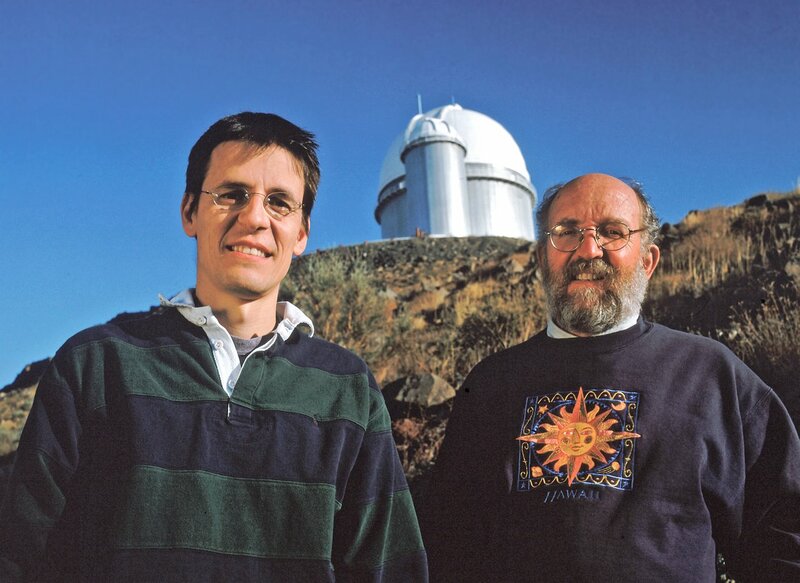 They were awarded the 2011 BBVA Foundation Frontiers of Knowledge Award in Basic Sciences for their ground-breaking work on exoplanets.